Editor's Note: Sidi Gomes is a Harvard-trained architecture designer, currently working as Director of Architecture and Design at the Cambridge Innovation Center (CIC). Sidi's specialty is Social Space Design, focusing on how to create spaces that help people interact, collaborate, and build a sense of community. 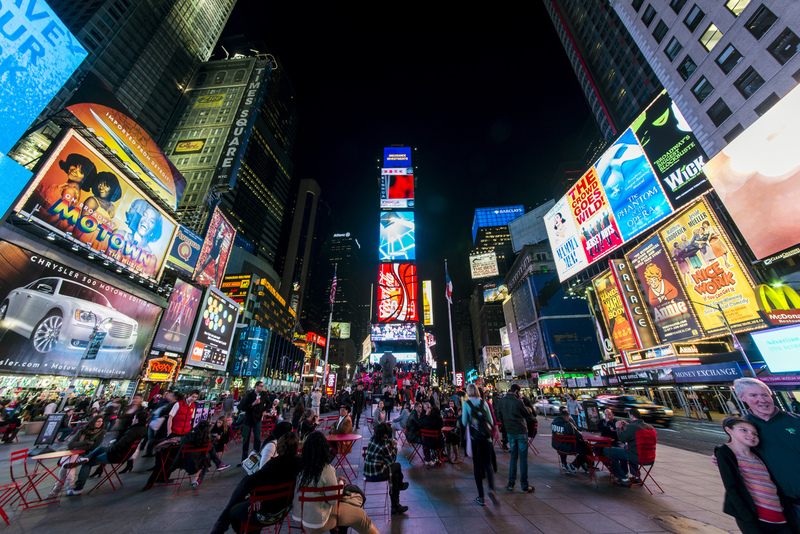 In this guest post, he argues that the most effective way to build up social capital isn’t to attract as many people as possible through “blockbuster” public spaces, such as NYC's Times Square. Rather, dense community networks tend to build up fastest in small, convenient places that may draw fewer people in total, but which attract more repeat users with a common interest. This is particularly important in all kinds of working districts where such social places can become the hubs of “communities of practice”—dense networks of learning, inspiration, collaboration and competition. Of the four qualities of successful public spaces that PPS identifies, "sociability" is by far the hardest to achieve. This is especially true in big metropolitan cities, where many public spaces are packed to the brim with tourists and strangers. 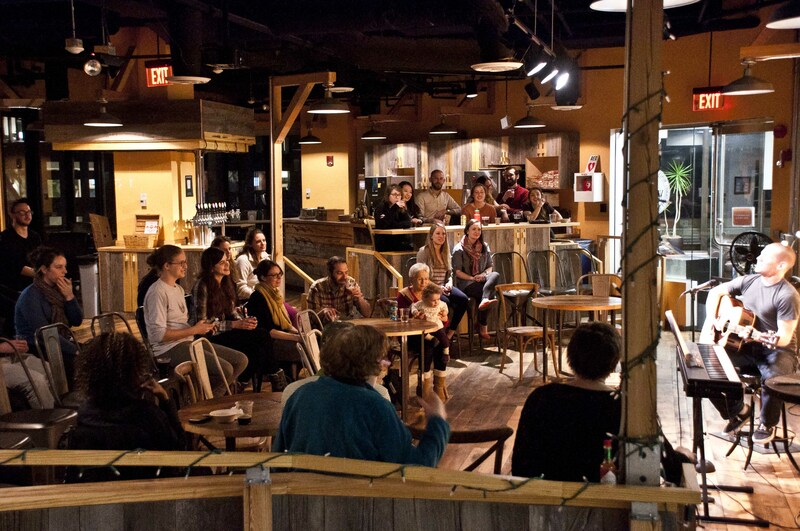 Even in our neighborhoods and local public spaces, meaningful sociability can be a challenge. The population of today’s big cities is transient, with the average person expected to move 11.4 times in their lifetime. Where in the past, people often had deep cultural and historical ties to the communities in which they lived, today with the tripartite forces of rural migration, gentrification, and suburbanization, neighborhoods sometimes can lack the strong sense of community they once enjoyed. One often overlooked ingredient in Jane Jacobs’ concept of “social capital” is time. In The Death and Life of Great American Cities (1961), Jacobs considered a person who stayed in a neighborhood fewer than five years to be transient; and she suggested that in order to build up a community it was crucial to have a continuity of residents living there a decade or longer. With this in mind, how could we manage and program public spaces differently to fill the social capital gap? In my work as the lead architect for the Cambridge Innovation Center (CIC) and Venture Café Foundation (VCF) in Boston, I try to do just that. Through these organizations, which work together in helping create and grow powerful innovation ecosystems, the aim is to create community spaces around which an innovation story and identity can be built. These spaces then become a “third place” for everyone interested in innovation and entrepreneurship in the city. Throughout my work in this capacity, I have found three main obstacles to sociability: lack of trust, lack of information, and lack of time. Lack of Trust is the most important, and hardest to overcome. At a bench in Times Square, for example, you may be sitting next to someone who seems perfectly friendly, but with no social reference for the person, you will likely be more guarded and cautious about interacting with them. Lack of Information can also be an obstacle. Even though you and 400 others may be occupying the same space in Times Square, what do you really know about these strangers? A place like Times Square attracts all kinds of people, but achieving real sociability may be quite difficult for this very reason. Lack of Time can also be challenging for those living in cities. For a number of reasons, few of the people who work in Times Square actually live there, which means most are commuting from another neighborhood, borough, or suburb. Given the daily commute time to and from work—along with the fact that it is a place catering to tourists, with price tags reflecting this—the decision to “hang out” in Times Square at the end of the workday seems unlikely and inconvenient. While blockbuster public spaces like Times Square can be great for the local economy, they are not generally known for being strong community-building places. These kinds of places, such as great local markets or public squares, require elements that create repeat users and repeat encounters—which is a key factor in building trust. See someone often enough, and not only do you implicitly start trusting them more, but sooner or later an opportunity for the two of you to connect will emerge. Instead of designing spaces with the goal of creating “novelty” to merely attract people, it is important to realize that novelty wears off, and users will have little incentive to return. If one of the goals of a successful public space is to create repeat encounters, it is essential to create a variety of activities and uses that reflect the needs and interests of the community. This is precisely the goal of the Cambridge Innovation Center (CIC). 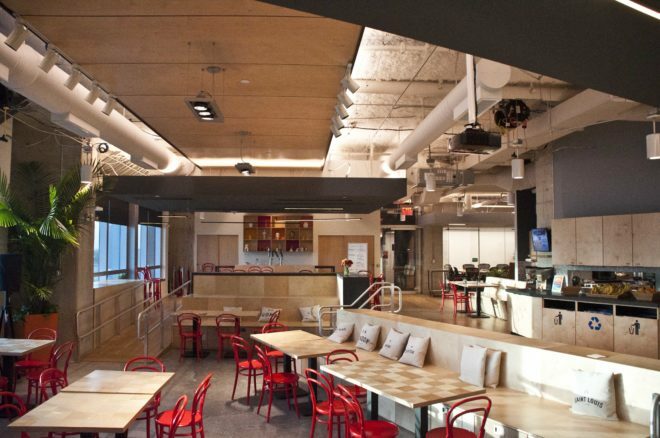 As its core business, the CIC provides office space for startups. It captures 8 hours of all the people that work there (CIC Cambridge houses over 600 companies), 5 days per week, all year long, and thus provides a natural environment for repeat encounters. As in dealing with a city’s millions of inhabitants, it is important to find creative ways to break down a large group into more manageable sub-groups, and creating a space for a specific community helps address the above-mentioned issue of “lack of information.” When attending an event for the innovation community, for example, it is fair to assume that the others in attendance share this interest as well. In addressing issues of trust and information, we are also mindful of the importance of time, and we try to cluster the uses and activities within these spaces as closely together as possible in order to cut commuting time as much as possible so that visitors actually have time to socialize. The point is this: Once you have created resources that attract certain type of people, the mere presence of those people will attract even more, as we have witnessed in our oldest location in Kendall Square, Cambridge. Kendall Square has been dubbed the “most innovative square mile on the planet.” It is now home to more tech and biotech companies than anywhere else. Yet, 15 years ago when CIC was created, that was not the case. This density of attractive prospects (e.g. Amazon, Google, and Microsoft now have campuses there) helped change the culture and collaborative behavior in the area. CIC St. Louis, launched 3 years ago, is starting to have a similar impact. The innovation community in these cities, which have great anchors inside our spaces, is thriving – with thousands of meetings and events, very real and impactful interactions, brainstorming sessions, and social gatherings taking place between its members. A vibrant public realm one might say. But you wouldn’t necessarily notice this walking down the street, or using one of the parks nearby. 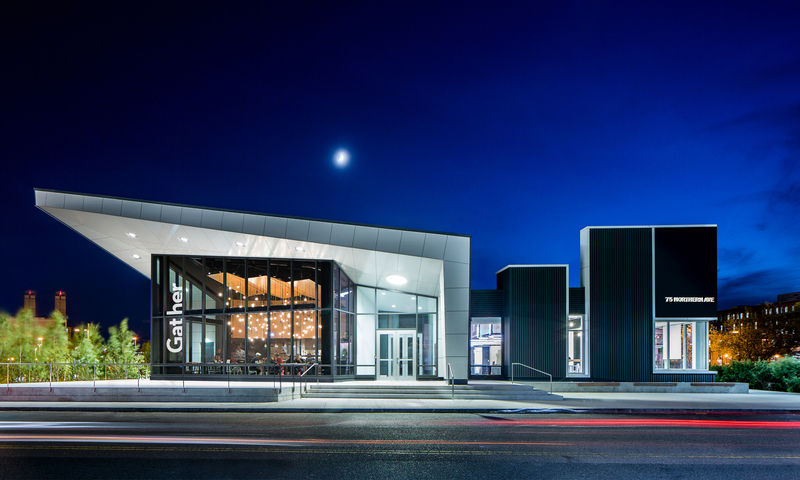 The most public space in our portfolio of spaces is District Hall (DH), a civic innovation building that serves as the innovation community’s “living room” – an event venue, public workspace, and programming hub. District Hall is a free standing building, so still not as public and open as a square, but its doors are open to everyone. With the clear civic mission of District Hall, which contains spaces inside that are dedicated, free of charge or at discounted prices (for at least 75% of the time), to events related to innovation and entrepreneurship, it has become the hub of entrepreneurial activity in Boston. With spaces that can be closed off, and plenty of infrastructure, it also provides the needed support, and crucial privacy for the varied types of events and activities the community needs. The first DH we opened is in the Seaport District of Boston, a 25 minute subway ride from CIC Cambridge. It hosted close to 1000 events, and over 75,000 visitors in 2016. Yet we are even more excited for our next iterations that will have DH connected to our CIC building. We are currently designing the CIC & District Hall in Providence, RI, which will host a Venture Café on the second floor. Creating this density of people, programming, work, and semi-public spaces, all focused on the innovation community, will create a strong identity to attract anybody in the city interested in innovation. In addition, it will increase the chances for people of the community to run into each other and to build trust more quickly, and, consequently, for more effective placemaking.